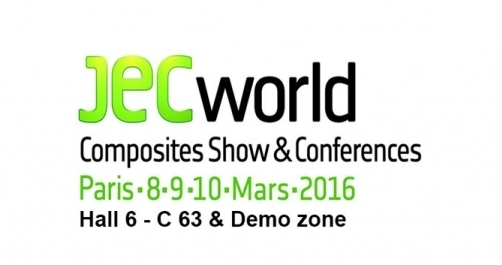 At JEC World 2016 during live molding demonstrations, RocTool will present “live” for the first time its new molding technology. “Resulting of 3 years of R&D, the Light Induction Tooling™ (LIT™) will allow RocTool to develop its offer in key segments, such as aerospace, automotive and transport” explains Mathieu Boulanger, RocTool CEO. Large and one shot parts, manufactured in an Out of Press and Out of Autoclave process The LIT™ technology is fully adapted to thermoplastic and thermoset composites; it enables the production of very large parts and allows manufacturers to improve their existing production capabilities. RocTool LIT™ addresses OEM challenges to make cost effective composite parts with quick cycle times. LIT™ technology does not require any compression press machines or special large forming press that only few manufacturers can afford globally. A light tooling structure integrates RocTool state of the art induction heat technology and is connected to RocTool Performance Cooling units. “With this new Out Of Press and Out Of Autoclave (OOA) technique, manufacturers can now increase their capabilities without investing in large tonnage machines and the OEM can extend their supply chain for such composite parts. Making large composite parts without compression machines, with light tooling configurations and precise temperature control is a game changer” says Mathieu Boulanger. With this new innovative process, RocTool reduces the thickness of the tools; and shortens the heating and cooling times achieving cycles below 3 minutes for various materials. The LIT™ enables an accurate control over heat ramps, from very fast heating to defined heat rates for aeronautical certified resin systems which require an overall longer cycle. “The energy cost is very low and we obtain an exceptional return. Globally speaking, this new RocTool process allows the end user to obtain massive energy savings compared to conventional manufacturing processes! For the JEC World demo mold, the energy consumption remains below 2 kW.h, and a cost per part below 15 cents, therefore much less than using an autoclave.” highlights Dr. Jose Feigenblum, RocTool CTO. RocTool Light Induction Tooling (LIT™) – LIVE Demonstrations by RocTool and their partners JEC World (Live demo zone) from 8 to 10 March 2016, Paris Nord Villepinte, France “MAKING A REDUCED SCALE PART WITH MULTIPLE COMPOSITE CONFIGURATIONS” Thermoset & Thermoplastic composite parts will also be on display at RocTool booth - Hall 6 - C 63.